$1,000 Referral Bonus to anyone who brings a buyer!!! Beautifully renovated from crown to foot molding, this 3 bed 3 bath with a two car parking pad could be your next home sweet home! Cozy up next to the built-in electric fireplace on cold winter nights (no wood needed for heat! ), or gather 'round the spacious, custom made kitchen to cook family dinners! Boasting skylights in the upstairs bedrooms and hallway, large windows, and glass double french doors, this home has tons of natural light. With gorgeous Silver Cloud granite countertops, a stone accent wall, keyless front entry, a private outdoor oasis, and two car parking, this home will not last! Stop by today to see your new home! Potential short sale. 3 bedroom, 2 bath rowhouse in Baltimore City. A true diamond in the rough. Great opportunity to make this townhouse sparkle again. Plumbing and hot water heater updated five years ago. Plumbing exists for shower in lower level half bath so you can make it a full bath. Lots of extra storage. Backyard access from main and lower level. Located near major commuting routes. Charming TH located in Springwood Estates features NEW carpet, 3 bedrooms, 1.5 baths, separate dining room, kitchen w/ plenty of counter/cabinet space w/ a place for a small table and rear deck overlooking your large back yard. Lower Level can be finished for additional living space/ possible bedroom. Close to commuter routes 95 & 695. Property eligible under Freddie Mac First Look Initiative (homeowners only) thru 12/7/18. SOLD AS-IS. GR/HOA/FF fees TBD by buyer. Seller pays NO transfer/ recordation costs. >> AGENTS ~ SEE AGENT REMARKS FOR OFFER INSTRUCTIONS. Come and see this absolutely charming brick Federal style home in the heart of Otterbein & Federal Hill. Just steps away from shops & restaurants. 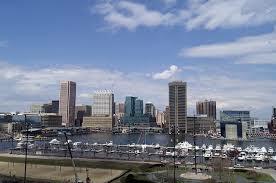 The Inner Harbor is just a block away! Close to I95. Walk to M&T Bank Stadium & Camden Yards for games. Master bedroom boasts a wood burning fireplace! !